ECR4Kids' Multi-Purpose organizer with casters for mobility (2 locking) and colored translucent drawers. 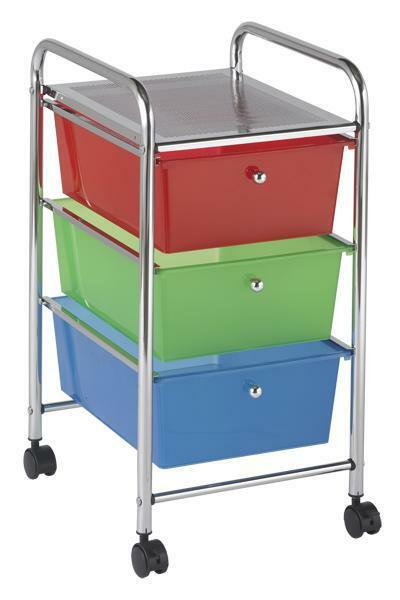 Use these handy organizers for your classroom, office, artroom or home. Tubular, chrome-plated steel frame and top shelf. Round, chrome plated knob-style drawer pulls.